Chris Garvey might have avoided a primary election to keep her seat on the Clark County School Board — had one of her challengers met a deadline to withdraw from the race. In her bid for a third and final term as District B trustee, Garvey originally faced three opponents in the June 14 primary. One candidate, Evan James of Moapa Valley, eventually withdrew his name after citing a conflict of interest because of a lawsuit he handles that involves the Clark County School District. James, an attorney, works in Las Vegas but also serves on a community board in Moapa Valley that advises the School Board. 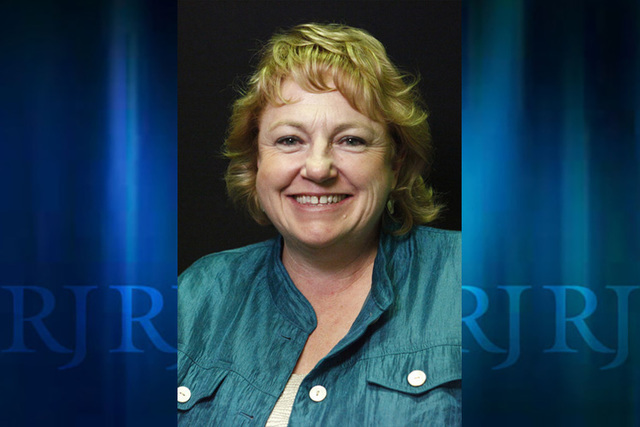 Another challenger, Carol McKenzie, 55, submitted her candidacy at the prompting of a Republican running for Nevada’s 1st Congressional District. She later reconsidered that decision but, unlike James, failed to withdraw her candidacy before a March 29 deadline. “I’m just going to have to pull out at this time because I just have a whole lot of stuff going on at home,” said McKenzie, during an April 20 visit to her work, a used car lot on North Nellis Boulevard. Missing the deadline to withdraw guarantees McKenzie’s name will appear on the June 14 ballot alongside Garvey and Jeff Eggeman. Eggeman, a 47-year-old tow truck driver, did not respond to multiple requests for interviews. “I am well aware of the problems of the school district and am able to fix these things,” Eggeman stated on his website. Garvey won her first election to District B in 2008. Garvey cited several accomplishments over the past eight years: raising participation in college-level courses, increasing the graduation rate, revamping professional development for teachers and approving a new master plan for English language learner instruction. However, it remains uncertain whether she will witness that payoff from a seat on the Las Vegas City Council. Garvey would not rule out a potential candidacy for Ward 6 on the council, which term-limited Steve Ross vacates next year. “My focus is on running for School Board, finishing up those things I started and put a lot of work into,” Garvey said.